You’ll see everything that’s happening in the nursery with the included wide-angle lens. When your baby needs you, you’ll know thanks to the VM5261. 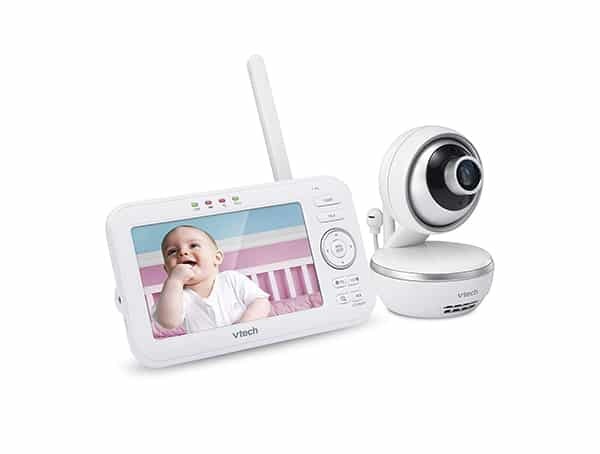 See everything that’s happening in the nursery with the included wide-angle lens. This special attachment gives you full control of how you watch over baby. The lens moves in and out for a seamless transition from detailed close-ups to wide, 170-degree panoramic views of the nursery—all with the touch of a button. That way, you can see the whole room and know what your little one is up to at a glance.